BJ’S Restaurant, 7755 Center Ave, Huntington Beach, CA 92647 was cited for Adulterated Liquor Bottles on July 01, 2014 by California Department of Alcoholic Beverage Control. Adulterated Liquor encompasses a variety of circumstances. When an establishment such as BJ’S Restaurant, is cited for a violation of Adulterated Liquor, it means that another substance was added to the liquor in the liquor bottle. Adulterated Liquor could be mixed with water, or it could be mixed with a mixer such as soda, or tonic water. Mixed drinks are not allowed by law to be mixed in the original liquor bottle and then served from that bottle. The contents of the liquor bottle should always be unadulterated and contain only the liquor that is represented on the bottle. When an establishment such as BJ’S Restaurant, 7755 Center Ave, Huntington Beach, CA 92647 is cited for Adulterated Liquor, it shows that the establishment has little regard for the consumer. The customer has a right to be served the liquor that is represented by the label on the bottle. Any tampering with the contents of the contents of a liquor bottle is a violation of the State Liquor Laws more importantly a violation of the consumer trust. When establishments such as BJ’S Restaurant, 7755 Center Ave, Huntington Beach, CA tamper with liquor bottles, it is usually in pursuit of higher profits at the expense and trust of the customer. 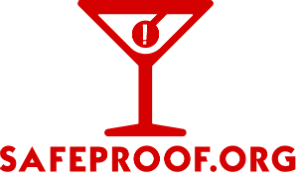 SafeProof.Org issues this warning to patrons of BJ’S Restaurant in Huntington Beach, California in lieu of their citation for Adulterated Liquor by the California Department of Alcoholic Beverage Control.